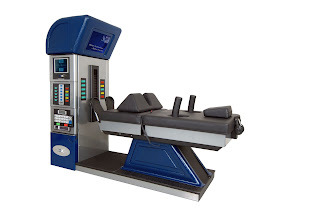 This month I am offering a special on Spinal decompression treatment in Manhattan. For the month of August a complete program of Spinal decompression on the DRX 9000 with core stabilization on the PowerPlate and Cold laser therapy. This package normally runs $4,850. I am offering it for $3,200. Please contact the office directly at (212) 645-8151 and mention the Blogger special. This offer is for new patients only. Spinal decompression may be covered 100% by certain insurance. I have had workers compensation cases cover it 100%.